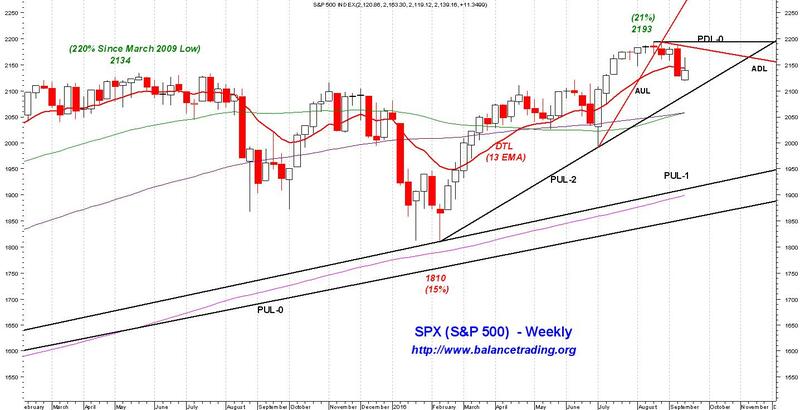 Chances are high that selling continues this coming week as SPX tests its PUL-2 around 2100. 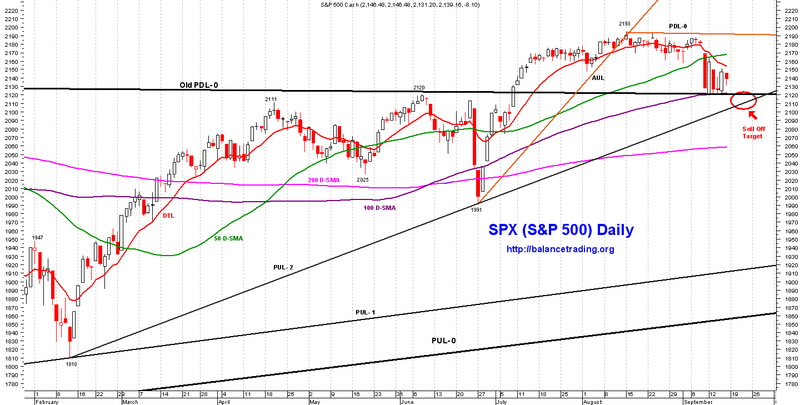 Everyday past week, SPX traded below its 50 D-SAM and DTL. At this point chances are good for SPX continues its selling this coming week to first retest its Old PDL-0 and 100 D-SAM around 2120 the then its PUL-2 around 2100. No change, my plan still is to open long positions in SPY. 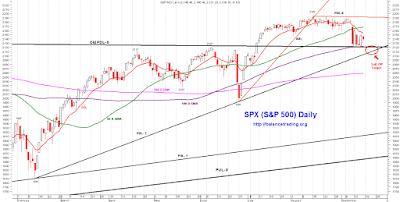 I'm planning to open my first of three long positions in SPY sometime this week as SPX sells to tests its PUL-2 around 2100 sometime this coming week.